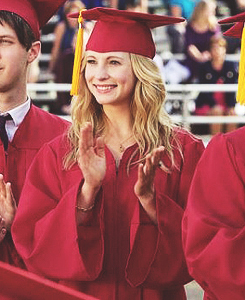 Caroline "Graduation". . Wallpaper and background images in the the vampire diaries club tagged: the vampire diaries caroline season 4. This the vampire diaries photo contains gaun akademik, jubah akademik, and jubah hakim.